Today I am sharing a couple of my example layouts for my blog feature on Scraptastic Club Blog HERE. For my layouts I am using the October "Thriller" kit, add on kit, and stamp set. For my first example I have replaced the hexagon design area with a combination of my title letters to spell out "Halloween Ornaments" and some of the leftover alphas. This is a fun way to use up extra alphas that you have left in sets where you have used the most common letters. I especially love these glitter letters for a sparkly page element. and here is a close up so you can see these great alphas and the cute flair and stamped images. For my next example I rotated the sketch to the left, used 3 photos rather than the one, and for the long strip of paper I cut out the title "Halloween" about the same length and tucked it behind my photos. Also in the sketch there is a stitched line element that I have replaced with my journaling. Now for a close up. 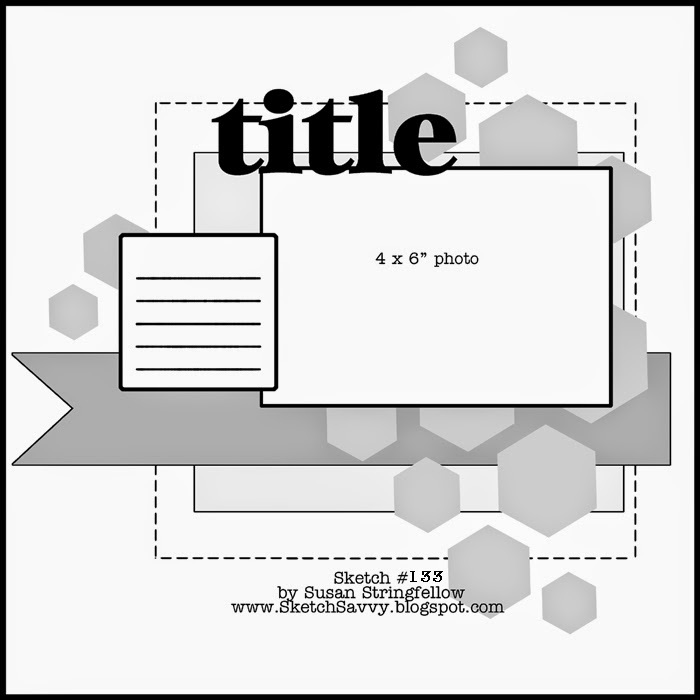 I used the star cut file from the October This Life Noted digital cut file where the hexagons are in the sketch.